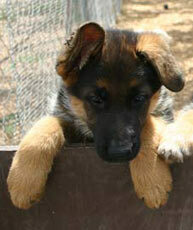 When deciding on the type of dog to get, you have to consider each of the following factors. Now that you have thought about why you want to get a dog, you know how to choose a dog and you are prepared for the challenges and rewards of sharing your life with a dog, it is time to narrow the search and determine just what type of dog you are looking for. Here are a few of the first things to decide on before you make a trip to the dog shelter. The type of coat that you choose is an important factor in your decision process. You may wonder why this matters, or how it would affect your decision at all, but it is actually a very big part of the decision when determining what type of dog you want and there are several things to consider. These coat types can all be divided into two groups; The first group, which contains most dog breeds, is made up of the type of dog that has a coat that grows to a specific length and then stops growing. But some breeds, those that make up the second group, have coats that grow continuously and must be maintained and trimmed regularly. Some of the things for you to consider when deciding on the type of dog coat that best suits you, include; how much a type of dog sheds and how often the type will require professional grooming services. Normally, most dogs will shed intensively twice per year. They prepare themselves for the hottest and the coldest parts of the year this way. Some dogs still shed more than others, but for the most part, long-haired dogs shed less than their short-haired counterparts, simply because the long coat entangles more and stays together rather than falling off as easily. That being said, there are many factors involved in why a dog sheds excessively and their type of coat is only one of those factors. health-related issues can also contribute to shedding. You have to consider how much time and money you have to invest in grooming your dog. Having a long-haired dog may take a long time to properly brush. And you may also end up visiting your local dog grooming salon more often annually. From my own personal experience, I prefer long-haired dogs. I find that the fact that their fur tends to fall out in clumps makes it easier to clean around the house. With short-haired dogs, the loose hair can be found everywhere. During the prime shedding season I used to sweep the house twice per day and found that the floors were still covered with these short hairs. You also have to consider that there are different dogs and coats that can aggravate allergies more than others. Contrary to what some may think, dogs that shed less tend to have higher impacts on allergies than those that shed more often. This is primarily because they keep their coat longer, holding onto saliva and dander more than others. It is the saliva and dander that are the main causes of dog allergies in most sufferers. If you or someone that you know has allergies, you will have to bathe your dog regularly, or treat his coat, in order to remove these allergens. And finally, one of the other factors to be taken into consideration when deciding on the type of dog coat; is your lifestyle and your location. Are you living in a warm location like California or a colder climate like Yukon Territory for example? 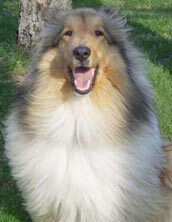 Your lifestyle may also help you decide between a shorter or longer haired dog. If you are an active swimmer or fisherman, a Newfoundland dog may be comfortable in the colder waters of the North Eastern Atlantic, but he wouldn't fare as well in the tropical waters of the Southern Pacific. Do I prefer to adopt a purebred or mixed-breed dog? When deciding on the type of dog that will become your new life companion, this is another very important consideration. Would you prefer to adopt a purebred dog or is that irrelevant to you? If you prefer purebred dogs, be sure to research the breed itself first. People will often just decide on a breed, based on one dog that they have seen, or that they know, of that breed. There are many happy-go-lucky Rottweilers out there that may give you an image of a non-demanding, perfect dog. On the other hand Rottweilers are a powerful breed and as such, they may end up being quite a headache for beginners or people who are unprepared for this type of dog. One of the benefits of selecting a purebred may be the fact that you know how that dog will physically look, how big he will grow (if not already full grown), and you can expect certain breed-based behaviors . 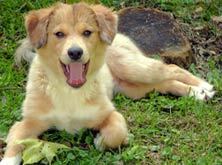 It is the opposite, of course, when getting a mixed-breed dog, because there are just some things you wouldn’t likely know. Like what that dog will look like when he grows up (if you are adopting a puppy), or what type of dog breeds' influences and characteristics he may have. For example; if one of the parents/grandparents was a Siberian husky, the dog may not show any physical characteristics, and may not look like a husky, but he may have all the extra physical energy of that breed and will require a longer daily exercise times. Should I adopt a puppy, a younger dog or an older dog? The type of dog that you choose will also depend on what age of dog you are considering. If you are looking to adopt a puppy, you have to understand that you and your family will have to go through all the stages of your dog growing up. On the other hand, adopting a puppy with the wrong idea of your puppy and your kids growing up together is a dream that can quickly turn into a nightmare, without the proper knowledge and commitment. Remember puppies are essentially a dog’s ‘kids’, and they are demanding just like kids of any other species on this planet. This is a very demanding commitment for both the dog owners and the dogs as well. You will have to start from the very first steps including teaching your puppy housetraining rules and dealing with his excessive chewing, etc… Having a puppy in your life requires a lot of time and a lot of effort. If you have decided on a puppy I would recommend that you visit the all about puppies’ part of this website where I will explain to you all of the necessary steps in his and your life, the first day in the house and all the necessary socialization and training steps that you will need.The beauty of puppies is that you have a chance to start fresh, and if you have knowledge about dogs, you are on a great path towards having a wonderful pet or sporting dog. Also, keep in mind that dogs grow quickly, and once you have decided that you want to adopt a puppy you have to think about his adolescent and adult life. Will you have enough time to take care of that dog in all of his growth stages? There is always a chance that your dog can grow up to be more energetic and demanding than your image and plan was for him. Will you be able to make that commitment and will you have time to fulfill your dog’s needs? In dog shelters you have dogs of all ages, so you may consider adopting a younger dog, but not quite a puppy, as that may fit your lifestyle better. Younger dogs are often past the chewing phase in their life, and housebreaking shouldn’t be a problem. 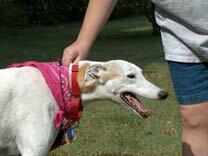 They are full of energy so if you are into walks and running they may be a great choice. In this stage of their life, dogs need to be aware of rules and regulations, and I would highly recommend that you do some type of training together, especially if you don’t know if the dog has had any previous training before. Think of it this way, if puppyhood was more focused on learning, young dogs are more into advanced exploring, challenging and setting up their position in the world. Young dogs that live within a group of other dogs are always challenging their fellow pack members for different hierarchy ranks and access to resources. This is a normal step in the lives of dogs where they will discover and find their position and place in the world. So when sharing their life with humans they also have to follow the rules, otherwise they may end up developing unwanted behavior issues down the road. Remember if you are adopting a young dog, you have to think about and consider this decision with your whole family, if you are living with parents or grandparents, they may not be so enthusiastic of having a young energetic dog in the house. And if you have small kids, young dogs may have less “patience” for them than older dogs might. Now it is time to talk about adopting an older dog. There is joy in having an older dog, as well. Most of them are done with chewing issues or young “challenging” periods and you can see exactly how they look all grown up. Many older dogs have learned good manners, even if they didn’t have any obedience training, because they have lived with humans long enough to understand certain commands and body language. Older dogs are normally calmer than younger ones and many of them tend to have more patience with younger family members. However, some older dogs may be more likely to be in need of veterinary care. And it wouldn’t be fair not to mention that they may have some behaviors that you or your family may not like, or that may even be dangerous. It is impossible to see all of a dog’s potential behavior issues at the first meeting. Some of them may end up surfacing down the road or may just be triggered by certain action/situations. When we talk about training an older dog, there isn’t anything that an older dog can’t learn just as well as a younger dog or a puppy. The problem is that when we deal with an older dog we are talking about long-established behaviors. And it is more demanding and difficult to “explain” to the dog how to do something if he already has a behavior for that action. You can find out more about training an older dog in the dog training part of this website. Now that you have made these important choices, and you know what type of dog you want, you are ready for a trip to the dog shelter!